The County Official Plan is a legal document intended to give direction over the next 20 years, to the physical development of the County, its local municipalities and to the long term protection of County resources. Through this Plan, County Council will outline a long-term vision for Wellington County's communities and resources. The Plan provides policy to attain the long-term vision. Below is the list of maps that form part of the Wellington County Official Plan. Local Official Plans are in effect in the Township of Centre Wellington and the Town of Erin. Wellington County is in the western outer ring of the Greater Golden Horseshoe (see map below). On February 9, 2018, the Province issued the final Agricultural Land Base and Natural Heritage System mapping for the Greater Golden Horseshoe; the mapping tool below shows these systems on Wellington County base mapping and air photos for your convenience. 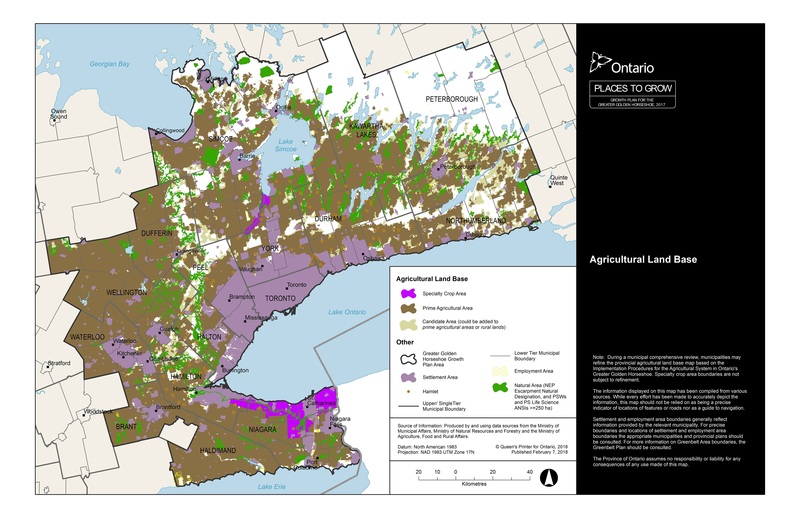 For official versions of these maps, visit Ontario Ministry of Agricultural, Food and Rural Affairs (OMAFRA) Agricultural Land Base and the province's Make a Natural Heritage Area.